After working with the guys at Framework on the Wellness In Mind Project it was great to be given the opportunity to put our name in the hat for a second project. 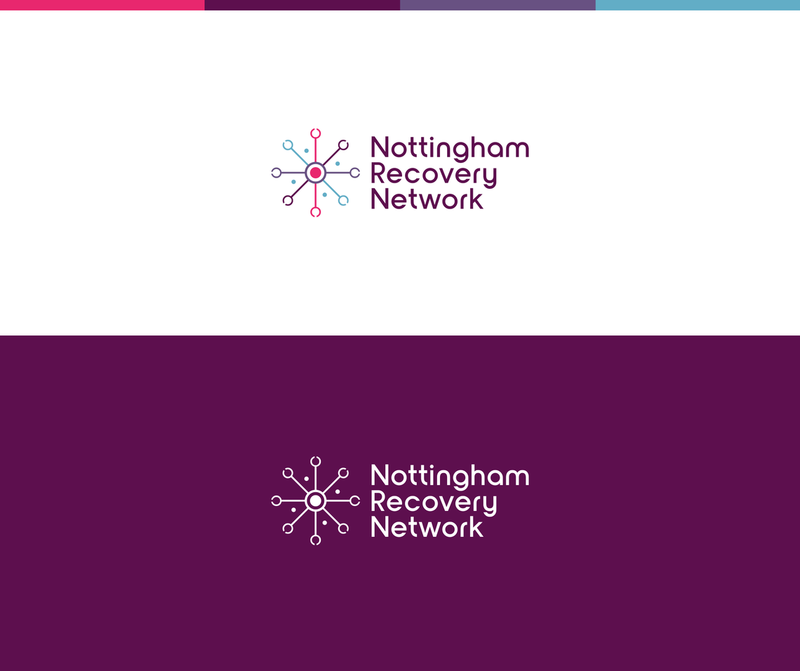 We attacked this project starting with the branding for the service which ws setup to provide a network of support to residents of Nottingham who are or may feel they are struggling with alcohol and drug based problems. After we had completed the branding process next on the agenda was the web site wireframing followed by the UI design and integration in to a flexible WordPress theme. 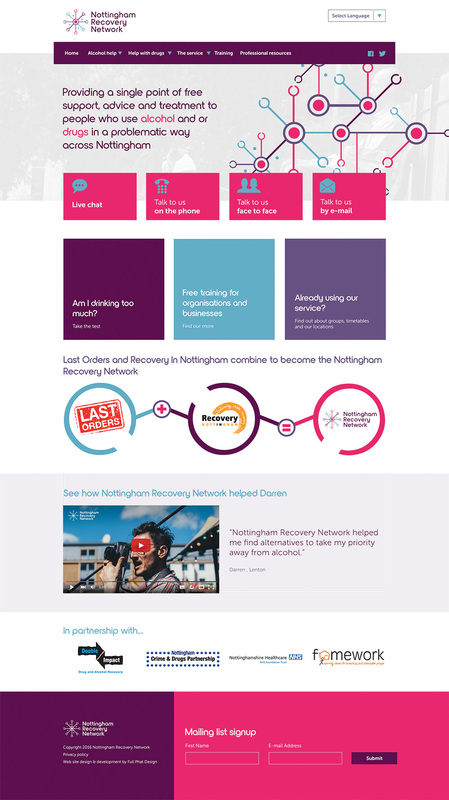 The web site was built with WordPress using a content block style system which allows the team at Nottingham Recovery Network to custom build there own pages going forward from an arsenal of elements they have at their disposal. The various contact methods all link up to the organisations in-house systems for tracking conversations with clients and allow many ways to get in touch with the service, the accesibility of this in person, online and overy the phone was key. Custom elements such as the drink calculator were developed by our team to allow clients to answer a string of questions and find out what the next step should be for them. 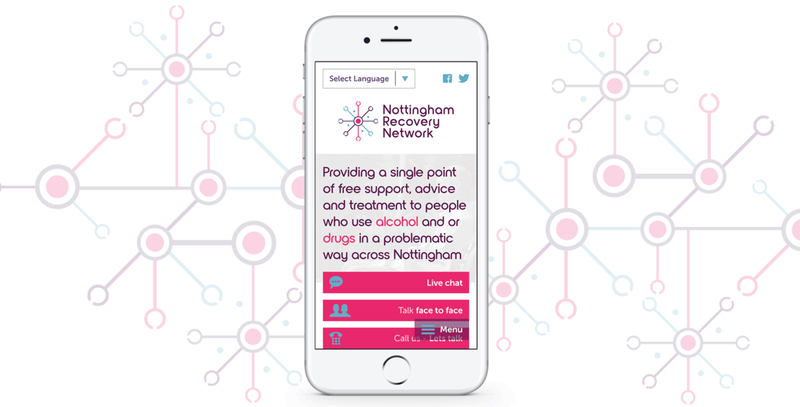 The site is already achieving great results in search engines for all local keywords which we hoped to achieve, the traffic which is driven to this site will no doubt provide the people of Nottingham with an excellent resource.